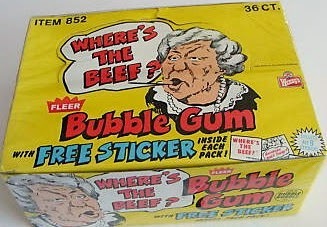 History's Dumpster: "Where's The Beef?" ....that turned three words into the national catch phrase of 1984. 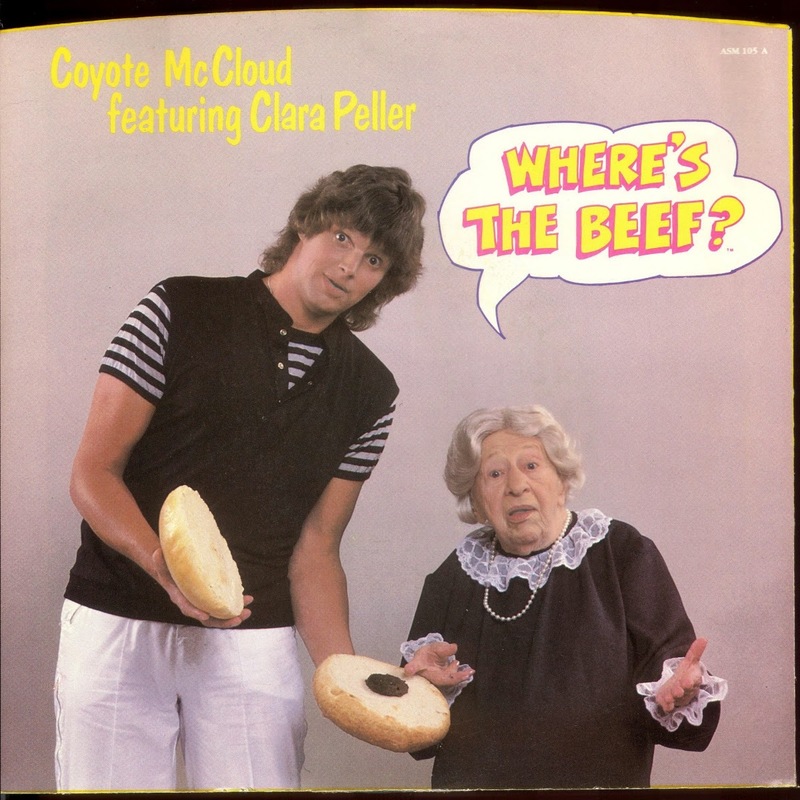 And launched a tiny octogenarian lady named Clara Peller into viral superstardom. This wasn't Clara Peller's only commercial. She starred in a few others prior to the Wendy's ads. 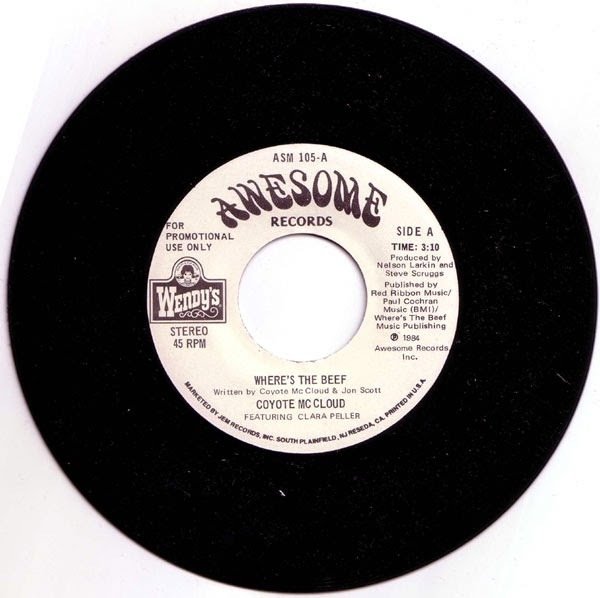 The Wendy's commercial debuted on January 10, 1984 and instantly caught on nationwide. Leading to several sequels to the original Wendy's commercial and a simply massive merchandising blitz. She also had a small radio hit, which sampled her "Where's The Beef" phrase. Copies of the single were sold at Wendy's. 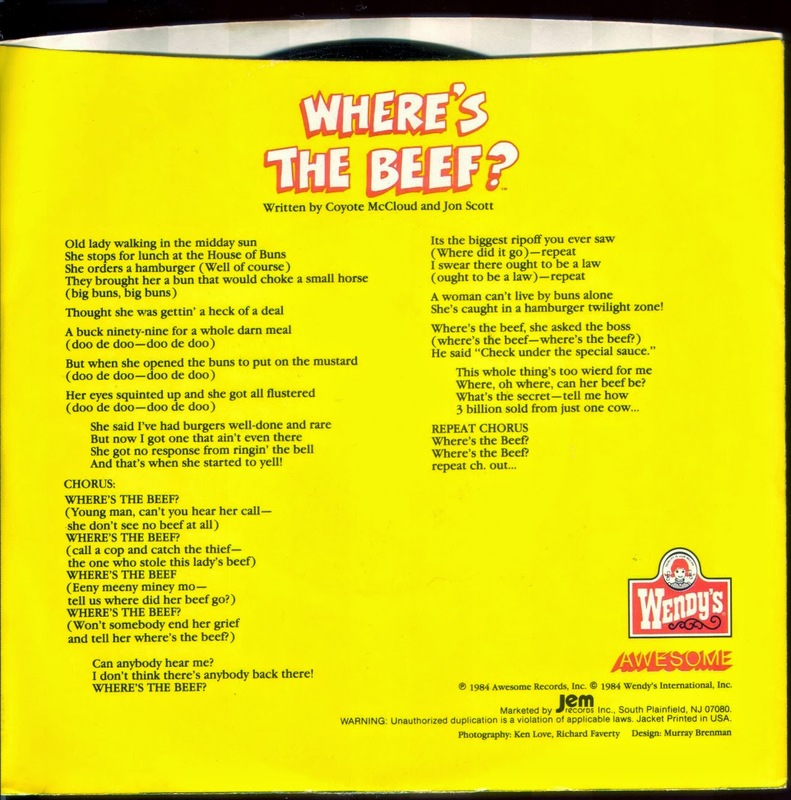 The "Where's The Beef" commercials and product tie-ins made millions for Wendy's and brought them out of a deep sales slump. According to Wendy's, Clara Peller made $500,000 from the commercials, a number Clara Peller herself had disputed. It even became a political comeback when former vice President and Democratic challenger to President Reagan, Walter Mondale used this line against his Democratic primary challenger Gary Hart. However, the "Where's The Beef" mania didn't last long. (Oversaturation, as you can clearly see here, has a way of doing that.) But Clara Peller thought her Wendy's contract allowed her to do commercials for other products that didn't directly compete with Wendy's, such as Prego spaghetti sauce. Not so. 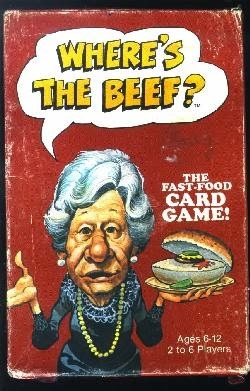 Lawyers for Wendy's insisted "Where's the beef" meant ONLY Wendy's hamburgers and she was released from her contract. She went on to use variants of the line in movies, TV and other commercials. But with no mention of the word "beef". Clara Peller died on August 11, 1987, a week after her 85th birthday.